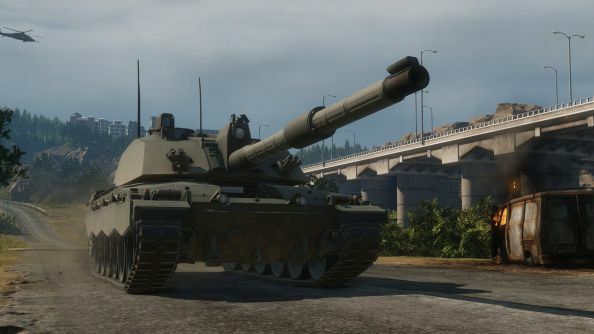 At an event in California last week, Obsidian Entertainment and My.com revealed their plans for how they’re going to expand F2P tank battler Armored Warfare. Along with our in-depth preview and interview, we’ve gathered all the relevant announced info into one post for you. Want more tanks? And planes and boats? Here’s our picks for the best wargames. There will also be three additional maps. Coastal Threat is a PvP environment that combines city streets and a big, open lake for diversified combat. A large bridge allows speedy travel from one side to the other and easy flanking by faster vehicles. Meanwhile Operation: Cerebrus, based around a large train, and the yet-unrevealed Operation: Albatross will bolster PvE. Another big commitment is custom matches and observer mode. The two go hand-in-hand, allowing groups of players to challenge each other and have watchful commander-eyes to strategise their side of the battle. Alternatively, shoutcasters can use it for the inevitable competitive scene. Other promises are more detailed – the community has been asking for premium benefits for non-premium tanks, allowing them to buff-up favored war-horses that aren’t necessarily paid for with real cash. This is called battle-hardened tanks. This, along with the maps and tanks, should be available before the end of the year. Some other things are further out and less fully-fleshed. Narrative is on the way, based on the idea of PMCs controlling lots of large global conflicts. A loot system is planned, factoring into the various progression mechanics that are already in the game. Finally, larger scale ‘end-game competition’ is coming, featuring battles between player-made factions and area control mechanics. There are also features that haven’t even reached the design phase yet. Non-ground vehicles, specifically helicopters, had been discussed as an addition to PvE, though are a challenge to implement. 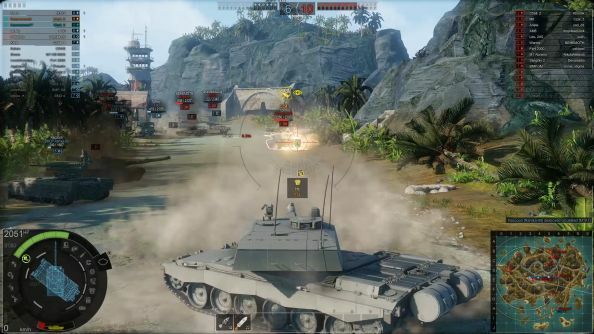 Equally, co-op in the form of multiple players in one tank – for example one gunner, one driver – is something they’re thinking about. The smaller calibre weapons that currently only serve aesthetic purposes were actually fully working weapons in earlier builds but suffered poor controls and no mechanical use. Obsidian would like to bring them back if they find a solution, as they appreciate the fun value of firing a .50 cal machine gun wildly into the air. 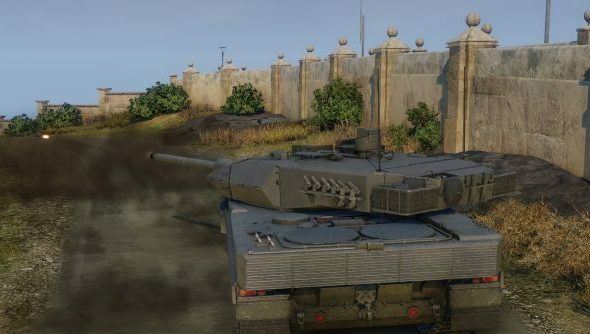 Do check out our big Armored Warfare preview for more details and interviews with the development team on all these topics and more. The gameis F2Pif you want a shot. Let us know how you get on in the comments, or what you’re excited for as a current player.